I am so excited to host the School Counselor Blog Back to School Contest, which is 10 days of daily giveaways starting today (September 1st) and ending on September 10th! The first giveaway for the School Counselor Blog Back to School Contest is the Good-Bye Bully Machine book and the Good-Bye Bully Machine Card Game by Debbie Fox and Allan L. Beane from Free Spirit Publishing. There is a free facilitators guide available from Free Spirit Publishing for use with the Good-Bye Bully Machine Book . The Good-Bye Bully Machine Card Game has great graphics and just like the book. Students answer the questions on the card with the goal of disassembling the "bully machine." The best part about this game is that everyone wins when the bully machine is dismantled! I have used the Good-Bye Bully Machine Card Game with students 5th and 6th grade students in groups and during classroom lessons. My colleague has used the game for 3rd and 4th grade lessons after reading students the Good-Bye Bully Machine book. Below is a video for more Good-Bye Bully Machine. I am so excited that Good-Bye Bully Machine Book and the Good-Bye Bully Machine Card Game are the first giveaway because these resources are amazing must-haves for elementary school counselors! Read the directions below for how to enter to win both these awesome resources! One lucky winner (U.S. only) will be chosen at random to win a copy of both the Good-Bye Bully Machine Book and the Good-Bye Bully Machine Card Game. The contest for this giveaway will be closed at midnight and a winner will be announced on this item's contest page on September 2nd. Add a relevant comment to this contest page about how you would use Good-Bye Bully Machine Book and the Good-Bye Bully Machine Card Game in your work with students. The comment must appear on this item's contest page. Thank you to everyone who participated in the contest and shared great ideas of how you would use the Good-bye Bully Machine Book and the Good-Bye Bully Machine Card Game in your work with students! As a graduate level intern at an elementary school, I have been asked to focus on reducing bullying behaviors. I spent the summer looking at anti-bullying curricula, but it was the Good-Bye Bullying Machine materials that I added to my Amazon wish list. It would be wonderful to use these items which were given to me by your informative blog! Such a huge issue for kids....I hear alot about bullying and it breaks my heart. I definitely see a huge usage for the Good Bye Machine Bully Book & Game with school age children I see, as well as creating an educational presentation within the school community. As a county, we are really focusing on bullying and teaching kids to be nice instead of bullying, and how to deal with kids who are acting like bullies. I have lots of books on the subject but not as many activities or games. There are several groups of kids at my school that I would really like to concentrate on and work closely with them to understand why they feel the need to bully, and help them work through what's making them feel that way. This would be a fun way to help them without being too serious and heavy. Thank you for all of your great suggestions!! I would love to use Good Bye Bully Machine resources during No Name Calling Week at the elementary school I work at. I could also see myself using them in a small group. I love the idea of using a card game to prevent bullying! I would love to add the Good-bye Bully Machine to my bullying resources. And, the fact it comes with a game is great. I have several bullying books, but no games. It always helps to have something new to throw into the rotation. I would definitely use them during classroom guidance. Bullying is such an issue right now and this would come in handy in my work with individual students as well as small groups. I am a new counselor and I am still trying to build my counseling resources and this would be a great one to add to my shelf! I posted the giveaway on twitter!! Bullying is one of those issues that affects children everywhere, across all ages. My school serves kids as young as 4 years old, and many of these kids get overlooked due to their age and lack of exposure to the school setting. One of my goals is to focus on this age group on a level they can understand, but to work in a preventive measure to help curb bullying before it escalates. I would also like to use the Bully Machine materials with 2nd and 3rd graders, as this seems to be where bullying takes on a new level within my school. I love the idea of giveaways! I would use this in many ways as a K-5 counselor. I can think of a few girls that I will use this with during our lunch group! I am a new elementary school counselor at a low income school. I will be going into K-5 classrooms once a week to facilitate classroom guidance lessons. The big focus at my school is on bullying prevention. This would be a great resource to use as a series of classroom lessons, as well as work in small groups. I love interactive activities as part of guidance curriculums. Using this resource would give the whole school similar language and framworks to prevent and intervene in bullying. Thanks for the contest! I am not sure how many times I am going to beg for your giveaway items, because I am a brand new, 43-year old counselor entering an elementary school that had the same counselor for 20 years! So I am trying to build my own library and have come up with a theme this year for my program, based on a toolbox idea, so this book in particular would fit PERFECTLY with the symbolism I am trying to work into my curriculum. Plus I am trying to "freshen up" the library for our struggling K-5 population, who enjoy very little of anything new in their lives!!! My colleage and I are starting an ambassador club at the school which will hoepfully reach out and impact the whole school as we focus in on bystanders and their impact on reducing bullying. Every club will be represented and we will meet in samll and big groups through the year. Good bye Bully machine sounds like a great resource and one that we would use in small groups with the club and with other sixth graderss. There are not a lot of fun resources out there for middle schoolers on this important topic. I am always looking for more bullying resources and can't wait to check these out. I will use them in elementary guidance classes and as a parent resource for my lending library. I am excited to check out how you used them. Thanks for sharing all of your great ideas. Thanks for the giveaway! I love growing my library and would love to add Goodbye Bully Machine to my book shelf. 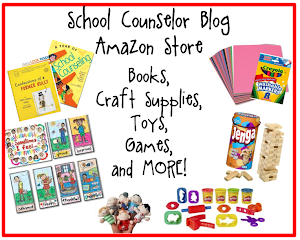 As an elementary school counselor, I would use the book and card game for whole class guidance lessons, individual counseling sessions, group, and lunch bunches with students. Just tweeted your giveaway to my PLN. Thanks! I've seen that just having a "no bullies" sign influences some students at the school where I work, and I would love to use this resource to add more depth to the students' understanding of what bullying is and what they can do to stop it. The use of a visual that kids understand (a machine) is really fun, and I checked out the facilitator's guide - I love that it has questions and worksheets to keep kids engaged! 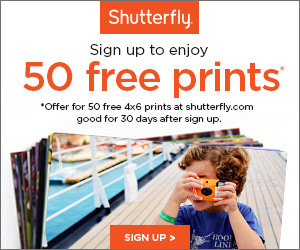 I just discovered your Blog! 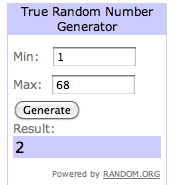 I think your giveaway is a great idea! My district is participating in the No Place for Hate Program and I would use the Good Bye Bully Machine mostly in my small groups that I work on bullying, teamwork, social skills and friendship. I would also use this resource in my individual counseling with those specific students struggling with these issues! Thank you for this opportunity! So many great responses. As a K-5 counselor at two schools I am always looking for fun new things to do with the kids. Before learning about your blog at the ASCA conference (great Presentation :)- I kinda did the same old same old but you have really opened my eyes to so many resources! Thank you. I would use this curriculum and game with my friendship groups. Our elementary is really focusing on bullying this year so this looks to be a great resource! I'd love to use these in groups but also perhaps modify them so that teachers can implement strategies in their own classrooms. I would use this with my classroom guidance. I also would share this information with our 6th grade Language Arts teacher who does an extensive unit on bullying. It's only through discussion and awareness that we can begin to create a different climate in our school. I am currently a graduate school counseling student. As a new starting counselor, I am looking for things that I can put in my school counseling toolkit! I am always looking for fun ways to teach about bullying because it has been such a problem. I think to get the kids really engaged is important or the information wont stick. I can also see how I could use this in the summer in my work as a camp counselor. I had some issues with bullying this summer and could have really used a fun, interactive resource to teach those kids about bullying. Great resource, Danielle! Even if I don't win this (!) I plan on purchasing it. It looks like it would work great as a K-5 lesson (our student body) AND as a small group topic as well. I can also see the value in keeping this book in our Parent Resource library for parents to check out as needed. Thanks for another great resource! This year, our campus has created a three week Bully Boot Camp. During those three weeks, the teachers are leading early morning friendship building, pro-active activities and I am doing a guidance lesson in each classroom on the bully, victim, and bystander. This book would be a great follow-up activity - as we will be touching on the subject during Monday mornings - weekly. I would love to get the GEARs childhood game to use as hands-on examples during the classroom guidance lesson. Never having used this book before, it would be fun and new for the whole campus! I would use the book for class guidance lessons to go along with our "no place for hate" activities. I could see using the cards with small groups or even individual students who are encountering bullying or doing the bullying themselves. This is my first year working in a high needs elementary school. We have very limited resources and funding, but such high needs, especially for social skills. I am going to incorporate bullying lessons into my classroom lessons and small groups. This would be a great resource to help the students. I am always on the hunt for some good ideas to talk about bullying. It seems to be the issue that never ends!! Love hearing new ideas on this blog. My school has had an issue with bullying in the past and this year we are really focusing on putting a stop to this with many different activities. It would be great to add this book and game to our collection. I work at a K-8 school and both counselor could utilize these materials. I am currently a school counseling intern and am working to build up some of my own resources before I land a job somewhere. I would incorporate the bully machine in many different areas (individual, group, and classroom lessons)alogn with other interactive activities. The card game is a great aspect (who doesn't love playing games?! )I also find it VERY use that it can be used with children of all ages. Sometimes it is hard to find the same resources for K and 5th graders.Early intervention is the key! I also think it would it be helpful to allow the teachers to have some insight on the product and how they can incorporate it into their classroom. Posters of the bully machine throughout the school would also be a great reminder to students. Thanks! I would use goodbye bully machine in classes and small groups. Thank you so much Danielle for sharing your time, knowledge and resources! As a new counselor your blog has been a gold mine for me! I would use the goodbye bully machine book and cards with small groups as well as with individual students and pairs of students. I would use it to help foster my school's culture of tolerance and caring as well as to help students with peer mediation! I would use this to supplement the Olweus anti-bullying program we are implementing in my schools. I work with 3 elementary buildings and bullying is the most common topic for my classroom guidance lessons. This is my first year as a school counselor and I'm working with PK through 12 students at an independent school. Since I'm trained as a mental health counselor, I am having to start from scratch in terms of obtaining resources and setting up my office to help children and adolescents. I'd like to use the Goodbye Bully Machine books and card game for a Middle School girls' group to start, and then use it for classroom guidance and bulletin boards at all 3 levels at my school. Thank you for the opportunity! This is a resource I keep looking at again and again but never seem to buy!!! This would be an AWESOME tool to help younger children understand and fight against bullying. It was such a terrible problem at the middle school level (where I worked last year) it would be great to address this issue early using this book as a reference! What's great is that it could be used as a school-wide program, in classrooms, groups or on an individual level! I work as a K-12 counselor so I would like to use older students to read the story and help facilitate discussion through the use of the game during a guidance lesson. This would bring the anti-bullying message to both groups of kids and empower the older students by giving them responsibility in the lesson! I would use this book with my k-4 students- whole school. We really need to "spruce up" our anti-bullying approaches. I also commented on schoolcounselorblog facebook page! I would use this in my elementary internship! I would definately use this book for my K-5 grades. While there is a no tolerance policy in my school, I feel there are never enough ways to teach and inform the students about bullying. Thank you for posting about this awesome resource! I am always looking for new resources to open dialogue about bullying. Our district administers a school climate survey to students in grades 3-12 in November and a portion of the survey focuses on bullying. I can use this book to discuss bullying with my gr 3-5 students prior to the survey. Of course, that is just one of many ways I can see my coworker and I using this resource. It would be awesome to add to my new and constantly developing library of resources and activities. I have a copy of the DVD "Bullied" from Teaching Tolerance (Southern Poverty Law Center) but this would be a great addition to that. Bullying is an issue that not only youth face but adults too. Tolerance and acceptance of all types of people and lifestyles needs to be taught and modeled to people of every age. I also shared the link on my google plus! I am still building my school social worker resources (aren't we always) and this would be great to add to my collection. Bullying is such an important focus across all grades right now! Oh my, this would be perfect, I thought that I created an original lesson creating a bully buster machine with 5th graders...now I could improve and expand that lesson into a bully machine unit, now I am excited. It's hard to believe that already in the second week of school we are having major bullying issues. I think using this book and cards would be a great way to make them think about how they are behaving! I would definitely use this with my fifth graders - what a fun way to incorporate some narrative approaches into individual and group sessions in working on prevention and intervention of bullying with kiddos! 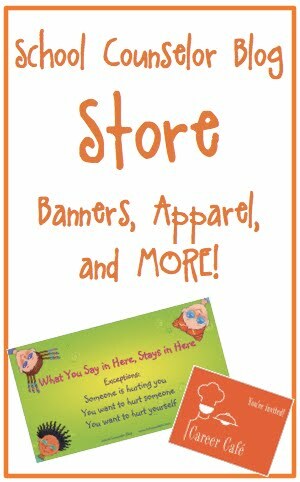 I would use these materials to co-facilitate weekly meetings with classroom teachers as we are in our first year of the Olweus Bully Prevention Program. As the chair of OBPP at my two elementary schools, these resources would be valuable in modeling different techniques teachers can use to attract students to the program. PS: I shared this on Facebook. Thanks for the opportunity and the idea, Danielle. This would be a great resource for my 4 th and 5 th graders!!! I have 2 k-5 buildings and would love to implement this! Thanks for sharing! This would be a great resource to use along with our anti-bullying program. The lessons are getting a bit stale and I have been looking for a way to make them better. Thanks for showing this!! 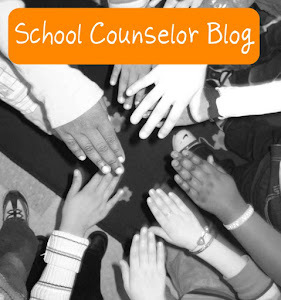 I am a first year counselor in a title one school and can always use ideas and resources. This sounds like a grear resource for teaching about bullying. Love the bulletin board idea!